Hailed for her “diamantine high notes, witty characterization, and giddily delirious coloratura” (Boston Globe), Welsh-American soprano Rachel Schutz is increasingly in demand throughout the US, Asia and Europe for her sensitive and evocative performances and wide range of repertoire. She enjoys a multi-faceted career which includes opera, concert, and recital performances, and her upcoming engagements include her debut with Opera Ithaca and Cornell’s Mayfest, a solo recital at Ithaca College, a collaboration with the Big Galut(e) klezmer band, and appearances at the Fall Island Vocal Seminar, the Mostly Modern Festival, and the Yellow Barn international chamber music festival. 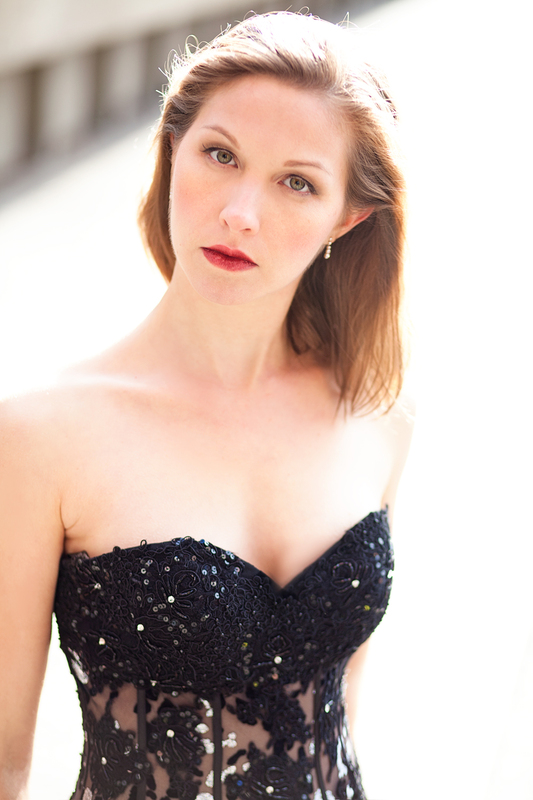 During recent seasons, Ms. Schutz won first place in the 44th NATS Artist Award competition and presented a recital at their 2018 national conference, premiered Eugene Drucker's Levertov Settings at Carnegie Hall's Weill Hall, joined DCINY as a soloist at Carnegie Hall’s Stern Auditorium, appeared as Lise in Opera Parallèle's production of Les enfants terribles (Glass) and Gretel in Stockton Opera’s Hänsel und Gretel, sang Ligeti's Mysteries of the Macabre with the Stony Brook Symphony Orchestra and Beethoven's 9th Symphony with the Hawaiʻi Symphony Orchestra, and gave solo recitals at the Maui Arts & Cultural Center, the Hawaiʻi Concert Society series, Le Petit Salon de Musique, and around China and Thailand. Ms. Schutz has been praised for her "vibrant, convincing stage presence" (San Francisco Examiner) and "vivacious spirit" (San Francisco Chronicle) on the opera stage. Her recent opera roles have included Lise in Glass's Les enfants terribles, Thérèse in Les mamelles de Tirésias and Jessie in Mahagonny Songspiel with Opera Parallèle; Papagena in Die Zauberflöte, Johanna in Sweeney Todd and Diana in Dove's Siren Song with Hawaiʻi Opera Theatre; Gretel in Hänsel und Gretel, Adele in Die Fledermaus and Susanna in Le nozze di Figaro with Stockton Opera; and Giannetta in L'elisir d'amore with the Santa Fe Opera. Other roles have included Musetta in La Bohème, Blondchen in Die Entführung aus dem Serail, Euridice in Orpheus ed Euridice, Sophie in Der Rosenkavalier, Rose in A Street Scene, Gloria in Handel's O come chiare e belle, First Maid in Daphne, Zerlina in Don Giovanni, and St. Settlement in Four Saints in Three Acts. Equally at home in concert repertoire, she has performed Beethoven's 9th Symphony, Dvořák's Stabat Mater, Brahms's Ein Deutsches Requiem and Haydn's Lord Nelson Mass with the Hawaiʻi Symphony Orchestra, Ligeti's Mysteries of the Macabre with the Stony Brook Symphony, Imbrie's Adam with the Riverside Symphony, Hayes’s Spirit Suite with DCINY, and has toured the Northeast with the Boston Pops Orchestra, singing, most notably, Bernstein's "Glitter and be gay." A seasoned recitalist known for her "communicative zest" (Boston Globe), Ms. Schutz has been invited to perform at prestigious venues around the world including Carnegie Hall's Stern, Zankel, and Weill Halls, the Ravinia Festival, the Ojai Festival, the Tanglewood Music Center, the NATS National Conference, the Dame Myra Hess Memorial Concert Series in Chicago, the Honolulu Chamber Music Series, the Hawaiʻi Concert Society, the Maui Arts and Cultural Center, Port Jefferson’s Le Petit Salon de Musique, and venues in China, Taiwan, Korea, Thailand and Germany. Ms. Schutz has performed with famed artists such as Dawn Upshaw, James Levine, James Conlon, JoAnne Faletta, Keith Lockhart, Leon Botstein, Christian van Horn, and Martin Katz. Ms. Schutz is also a passionate supporter of new music and enjoys close working relationships with many young composers and new music ensembles. She has premiered dozens of new works, including pieces by Eugene Drucker (of the Emerson String Quartet), Michael-Thomas Fumai, Jeff Myers, Thomas Osborne, and Peter Winkler, and has worked with composers Phillip Glass, George Crumb, Jonathan Dove, William Bolcom, Libby Larsen, and Augusta Read-Thomas on their music. She is particularly known for her renditions of Schönberg's Pierrot Lunaire, Ligeti's Mysteries of the Macabre, and Crumb's Apparition. In addition to winning the NATSAA competition, Ms. Schutz won third prize at the 2016 Jensen Foundation competition, was a finalist in the 2016 Hans Gabor Belvedere competition, and was the recipient of the 2012 Sorel Fellowship. She has been featured on Hawaiʻi's 88.1 KHPR and Chicago's WFMT, and can be heard singing Thomas Osborne's Rumi Songs on "Elements," an Albany Records album of contemporary American music, and Cone's "Silent Noon" on an Ebb & Flow Ensemble recording of Cone's chamber music. Ms. Schutz is also an active community arts organizer. In 2017, she founded Artists for Social Justice Hawaiʻi which unites artists of different disciplines to bring awareness to pressing social justice issues such as immigration, civil rights, and climate change. The group presents performances around Honolulu in collaboration with other arts organizations, and offers education and community art opportunities. After making her professional debut at age 12 premiering John Hardy’s The Roswell Incident with Music Theatre Wales, Ms. Schutz began studying with Mark Gruett of the Deutsche Oper, Berlin. She holds a BA in Music from Stony Brook University, received her MM degree from the Dawn Upshaw-run Vocal Arts Program at Bard College, completed an MA in Linguistics at the University of Hawaiʻi at Mānoa, and in 2016 received her DMA from Stony Brook University.